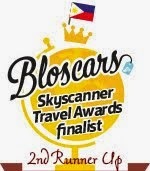 Backpacking Pilipinas: My CORONific Experience! I first learned about Coron way back in my grade school years when my father was invited for a cockfight there. I vividly remember how we devoured the cashew nuts he brought home from that trip. It was the first time I have ever tasted cashew nuts so it was like a huge feast at home. But apart from the cashew nuts story, he made no mention of how Coron was like as a small town in Palawan. From the time of my father’s visit up until today, Coron had significantly grown to become a very popular tourist destination. 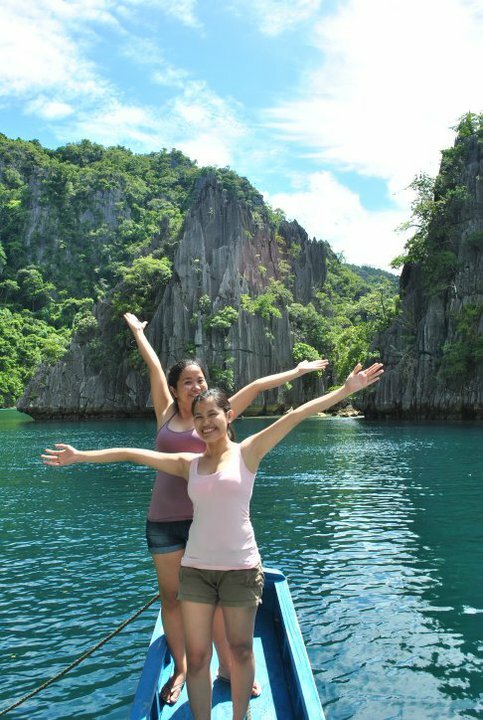 So when my sister Cha told me that she wanted to book a flight to Coron, I pleaded to tag along. I wouldn't miss it for the world. My travel companions were Cha, Janet, Vicki, Jane, Myles, Cathy, Susan, Gemma, Ana, Sancai, Alma, Imee, Tin and Angie. Thanks to them, the trip was fun and easy even when some things got a little awry along the way. We arrived at Busuanga Airport on a clear sunny September morning. After a hurried lunch at the airport, we were carted off to Rudy’s Place, where we stayed at for our three days two nights in Coron. I would say that we were not welcomed warmly in this place when we arrived. Later, the dissatisfaction aggravated when we found out that one of the rooms we rented has no water supply and the staff had very slow response to our needs. I think Rudy’s Place has a lot to improve on in terms of providing good customer service. It's better to check some other hotels if you're planning a trip to Coron. On our first day around Coron, we went to CYC Beach (wasn’t the best place to start the trip), Twin Lagoon (has the best emerald green water), Kayangan Lake (amazing view from the top of the hill and great lake water, P200 entrance fee), siete picados (amazing snorkeling spot) and twin peaks (it didn’t really look like a peak to me). At night, cha and I feasted at the best pizza place in Coron, in Bistro Coron. After, we enjoyed the simple nightlife at the town plaza, loving the clear starry night above us. Our second day was the “island escapade.” We woke up early to summit Mt Tapyas. We had to climb about 700 steps before we reached the top. But the effort was rewarded by the spectacular view we saw while we were there. The best way to top the amazing day was the relaxing bath we had at Maquinit Hotspring. It was a super day, a beautiful tiring day. Budget of the tour depends on the number of people joining. The larger the group is, the cheaper. Haggling is the key to success. Good luck! 1. The place hasn't been touched by any fast food chain yet. No bees and golden arches anywhere. 2. I saw one ATM while roaming the place. Better bring cash. 3. It’s better to make reservations before going to the island. 4. Their cashew nuts can cost you an arm and a leg. 5. The place lacks souvenir shops. We found only one while roaming around the town. 6. Trike fare around this little town is P10. 7. I’d say it’s a peaceful place. Going around at night will not be a problem. 8. Bring lots of swimwear. 9. Take lots of photos. If you have underwater cam, the better. 10. Keep the smile and the adventurous spirit with you! 12. Please keep Coron clean! Was there January 2012 and never stopped dreaming of coming back. Really glad to see they're serious about keeping the environment clean. Thank you for your blogs, enjoyable and helpful. Hi Ma'am this is Leidy po, we do have a lodging house na po in Coron its called "CORON GUAPOS GUESTHOUSE" contact number is 09999936639,Email us at coronguaposguesthouse@gmail.com thank you!